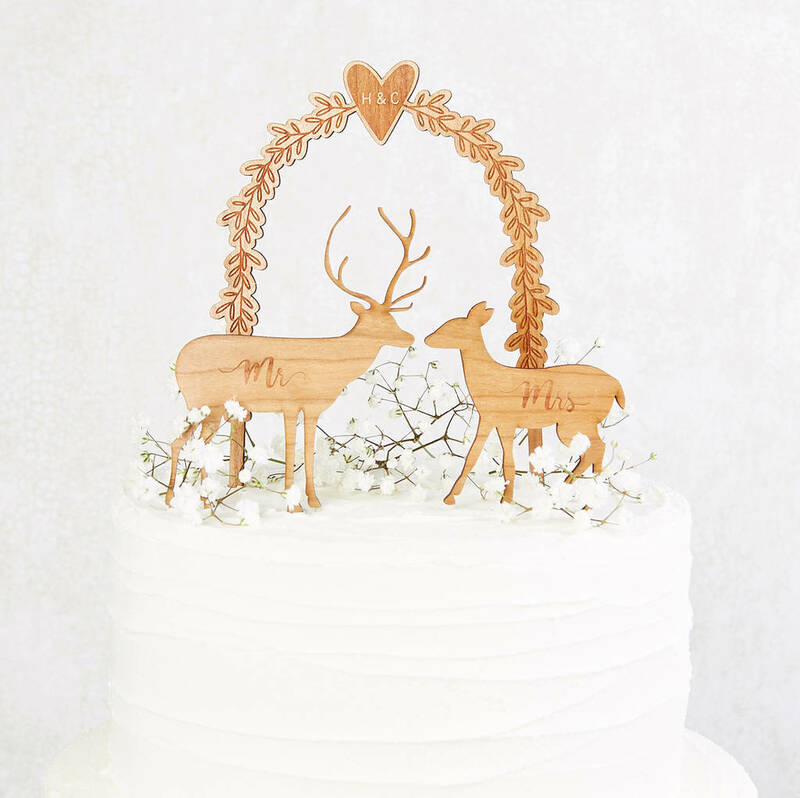 Wooden wedding cake topper with stags. 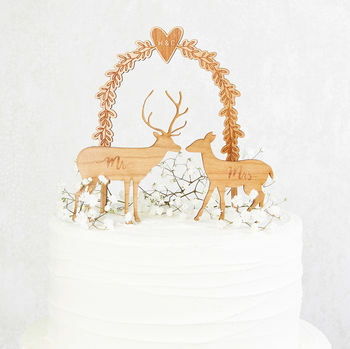 A beautiful botanical arch design is cut along with two lovely deer in this wedding cake topper. Mr & Mrs are both available options to be engraved onto the stags/deer. Wedding cake topper made from 3mm Cherry veneer wood. 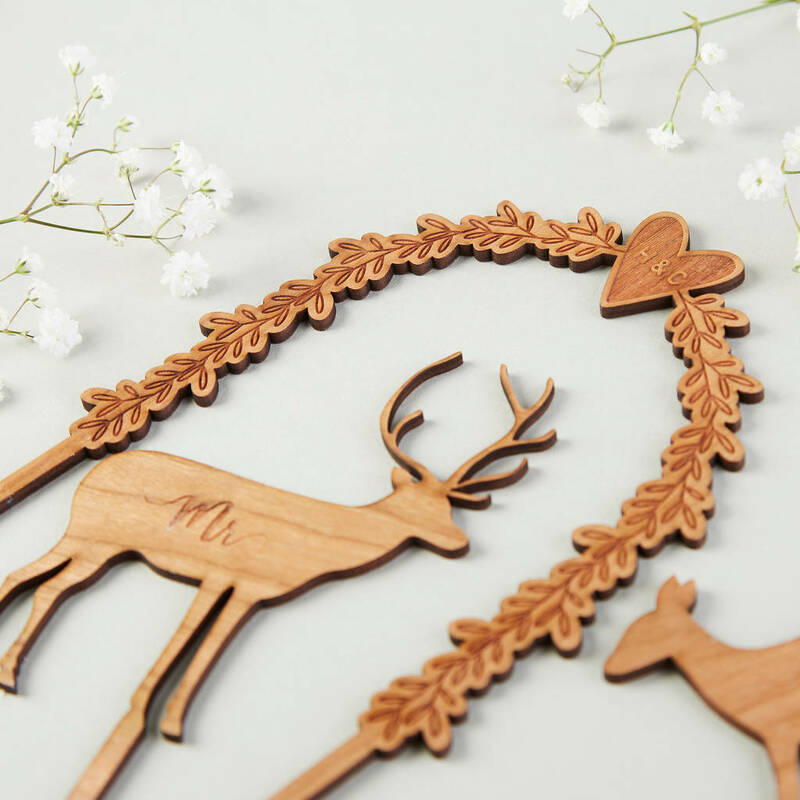 The archway measures 12cm x 12.7cm whilst the stags are approx. 10cm wide. The stems are approx. 6.5cm long.